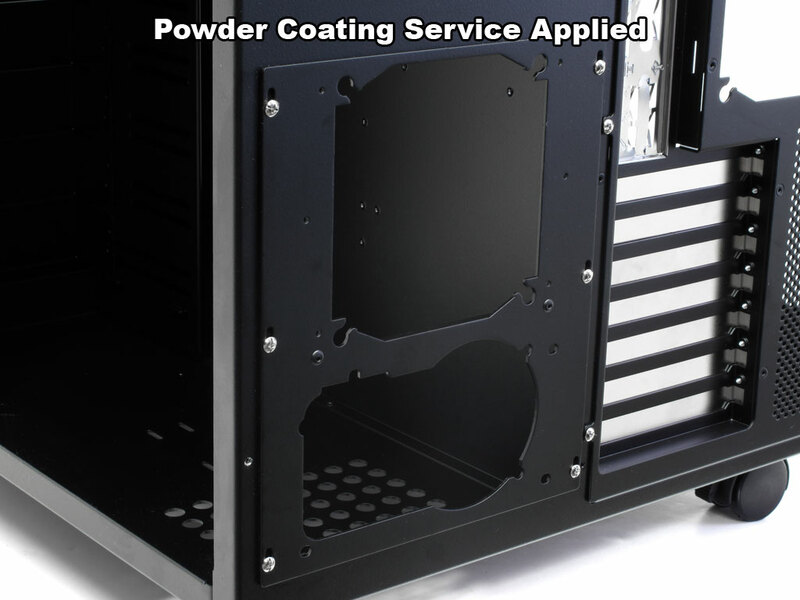 FrozenCPU is proud to offer a high quality powder coating service provides a perfect application of paint along the entire interior and exterior of the case's support chassis. 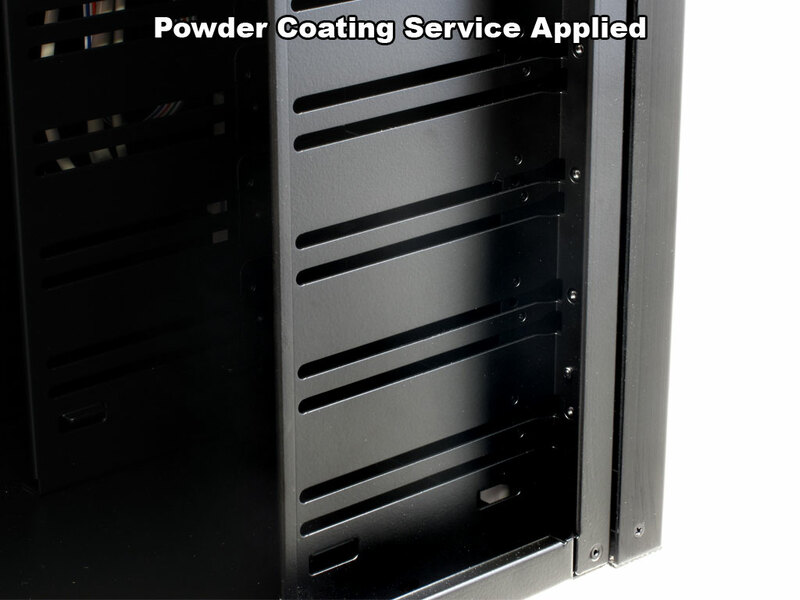 Since powder coating doesn’t require any bonding agent or solvent, the powder can be applied thicker than traditional paints without the risk of drips or running. The result is vivid color and a smooth even coat. 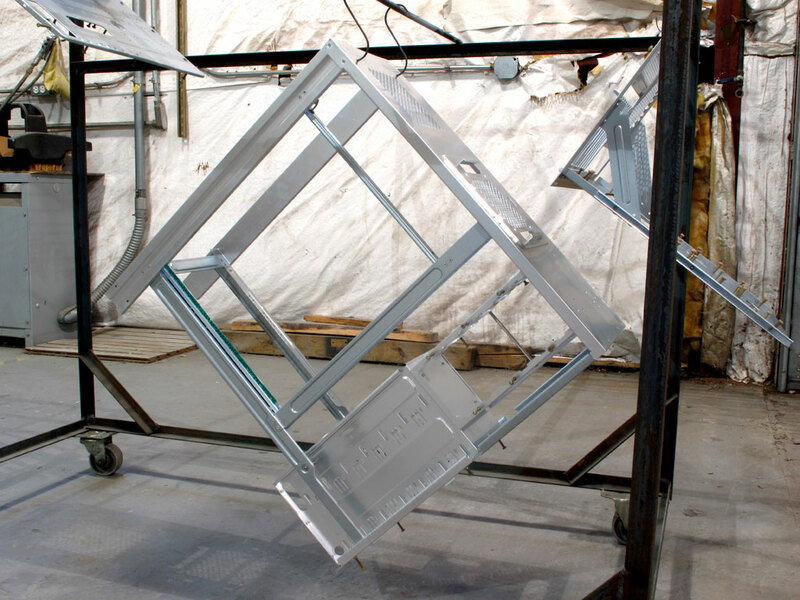 For this particular painting surface, we keep the top, side and front panels unpainted for a classic two-tone look. This way we can improve upon the manufacturer's work by keeping the excellent finish on the exterior body panels and add a new finish to the normally drab interior panels. 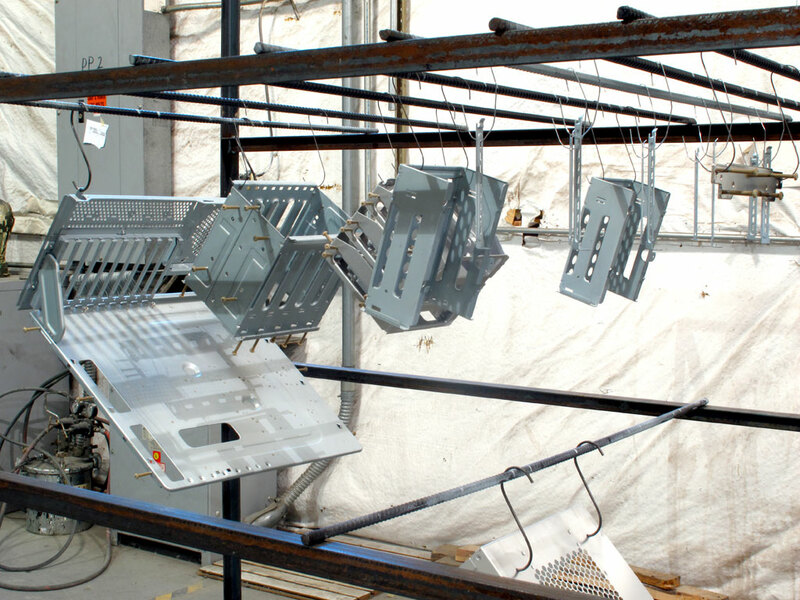 Powder Coating is a time consuming and involved process but its result is unmatched by traditional painting methods. 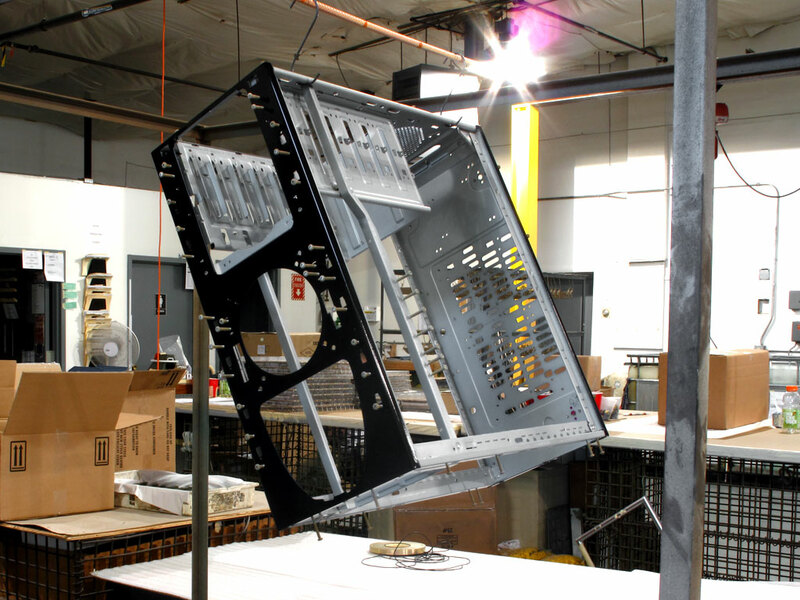 The first step is for the entire case to be disassembled. 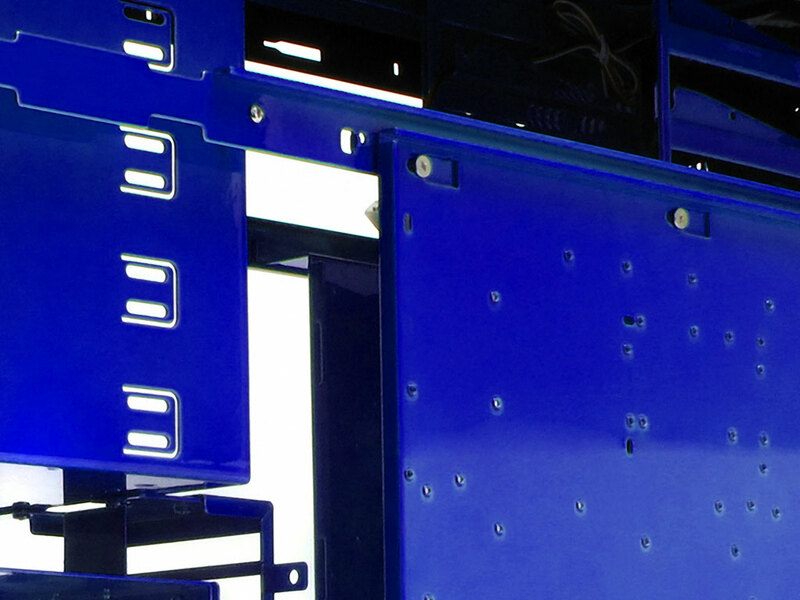 Masking isn’t used in powder coating, so every part that will be painted needs to be removed first. This even requires the drilling out the manufacturer's rivets so paint will be applied on the undersurfaces of the parts as well. The next step is the cleaning as it is essential that the surface be free of oils, dirts, greases, metal oxides or anything else that could get between the powder and the metal’s surface. Something as simple as a finger print could show up on the surface and wouldn't be baked on. The cleaning is done with a variety of mechanical and chemical cleaning methods dependant on what is on the surface of the part. Chemical cleaning usually uses phosphates or chromates applied either with submersion of the part in the cleaning fluids or spray application if the part is too large. 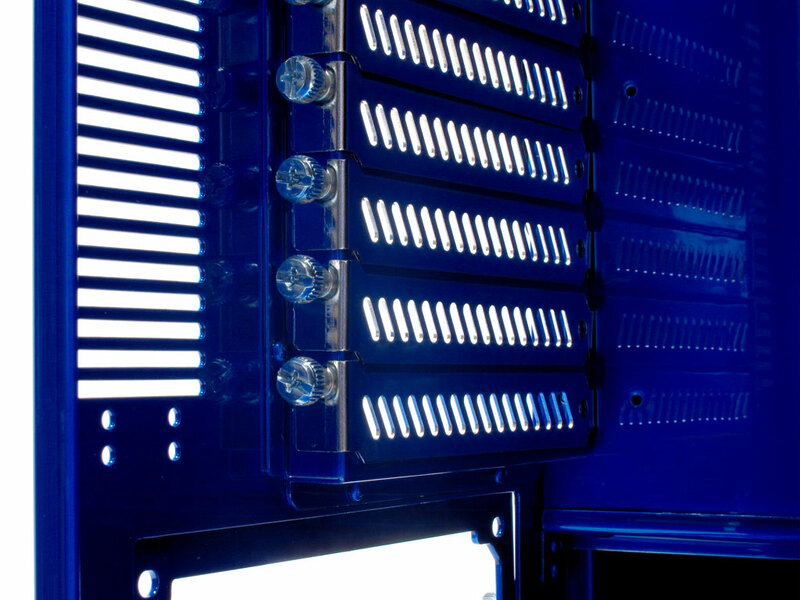 Often chemical cleaning is applied in multiple stages as few parts have just one impurity on their surface. 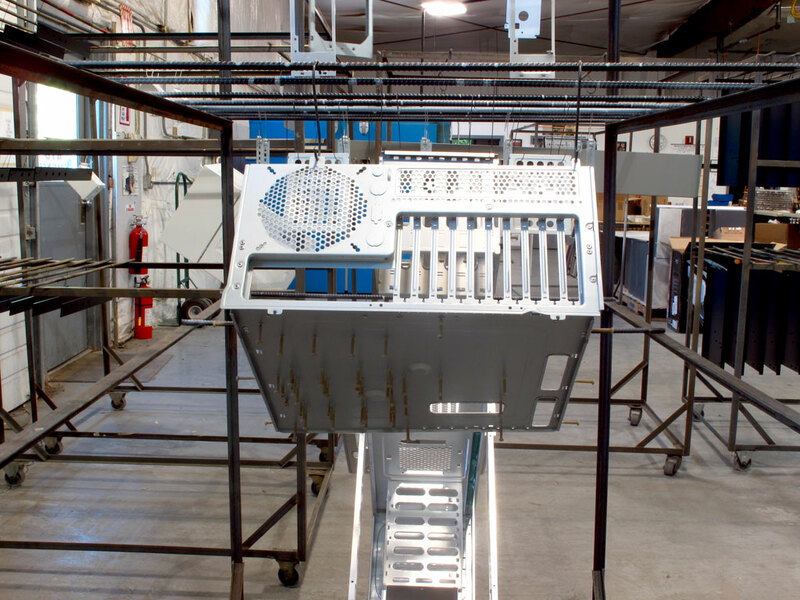 For example stages may be degreasing, de-smutting, chemical etching and then various final rinses. Particularly tough impurities on the part's surface may require the use of Sandblasting. 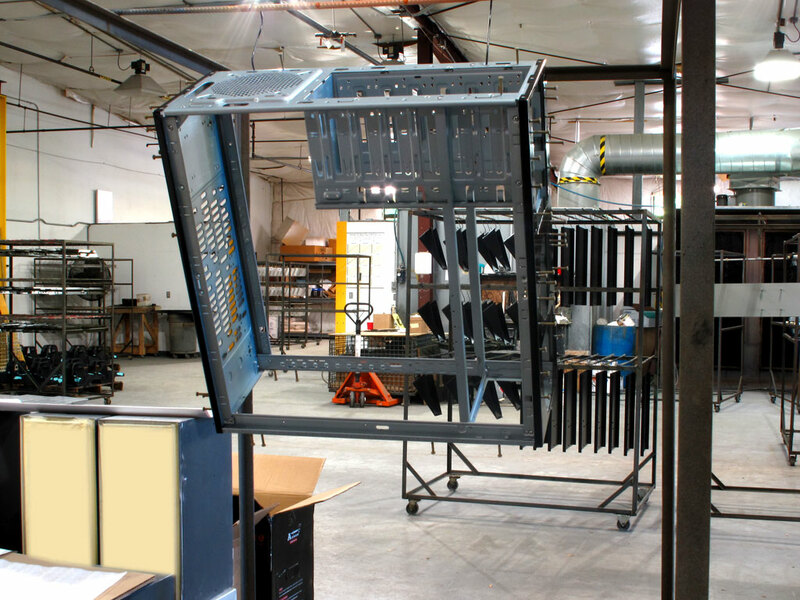 Rarely actually using sand, the process of Sandblasting sprays any of a number different blast media at high velocity at the part's surface and can abrade anything from surface texturing to etching or even rust. Blast media can be things as varied as silicon carbide grit to plastic abrasives - often it is cast steel shot or steel grit that is used to clean and prepare the surface. 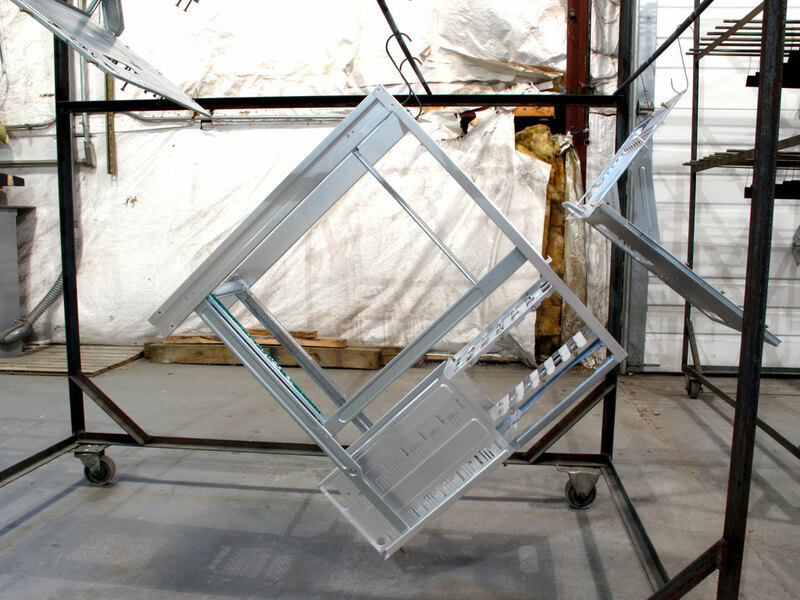 One of the advantages of sandblasting is that the blasting media is recycled again and again making it one of the more environmentally friendly methods of cleaning. 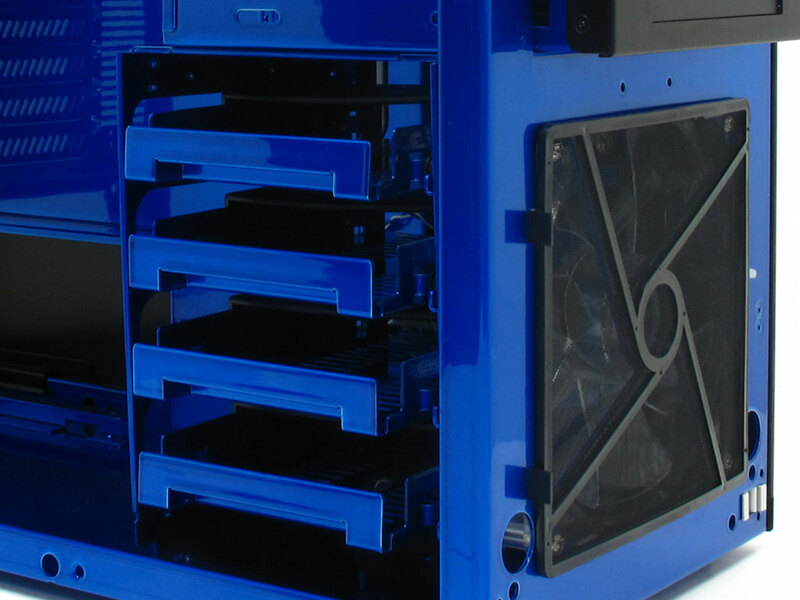 Once the parts are fully clean, we begin application of the powder color you chose to each part. The powder is applied using an electrostatic gun - also known as a Corona Gun. The electrostatic gun uses a very high-voltage generator (often with volatages as high as 100,000 volts) to produce a stream of negative or positive ions. The charge is imparted upon the powder cloud that is being sprayed around the part. The electrically grounded part within the powder cloud forms an electric field with the powder cloud and the gun. The charged powder particles surrounding the gun seek the part which is serving as the opposite pole and offers the lower potential. 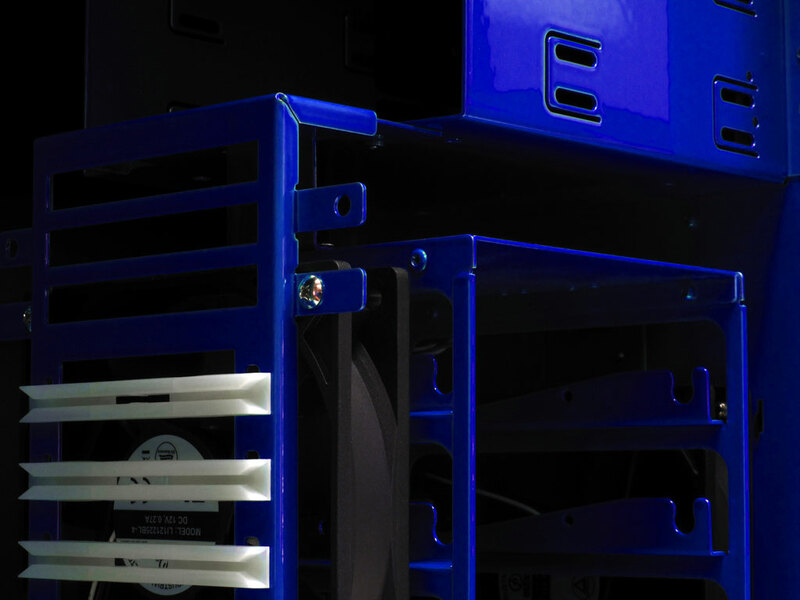 By having the powder coat itself on the product via this electrostatic attraction not only means it doesn't need a binding material to hold it in place but it also provides an exceptionally uniform coat that can be far thicker than other methods of applying paint. With the part fully coated it is then heated and the powder melts into a uniform film of paint. Since the powder is already applied to the surface, the paint doesn’t drip or run. 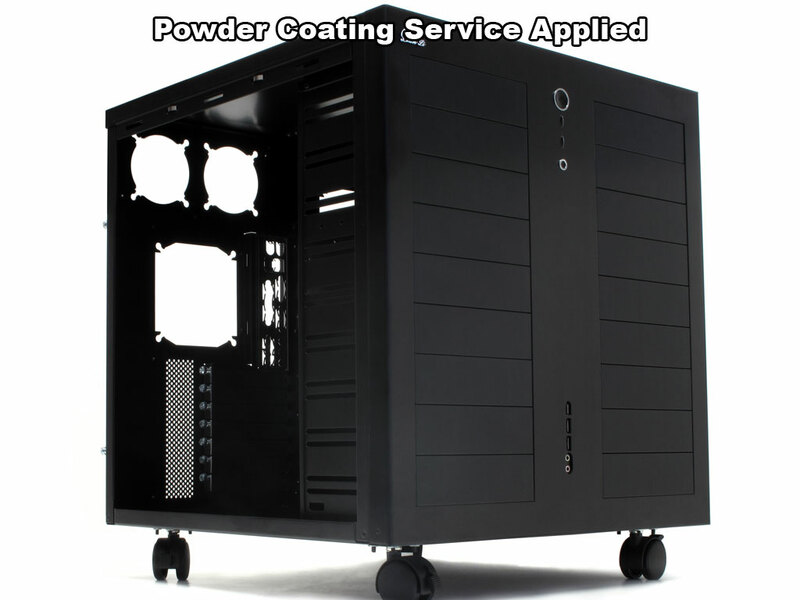 Once the powder is thoroughly melted, the object is cooled and the paint forms into a hard coating. 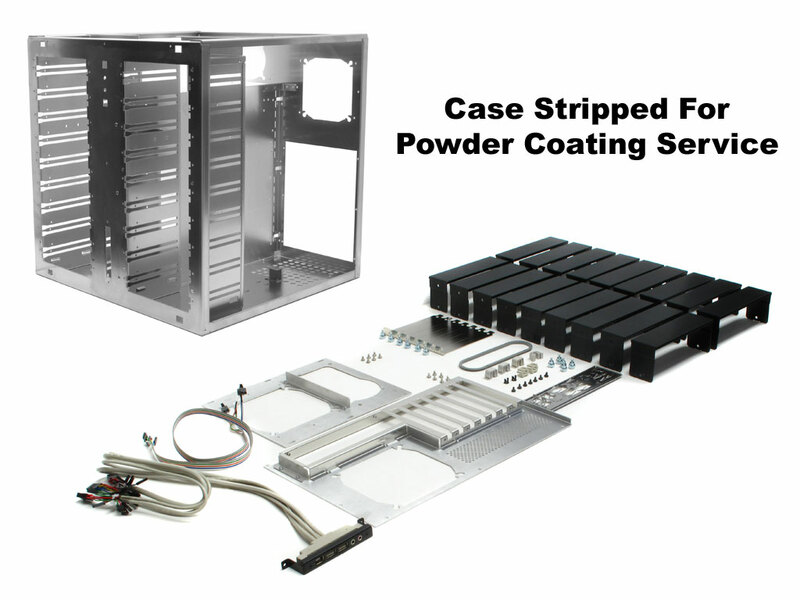 Then we move to the next part until all of the parts of case's internal structure are painted. The painted parts are then reassembled with rivets and screws just as was done by the original manufacturer. 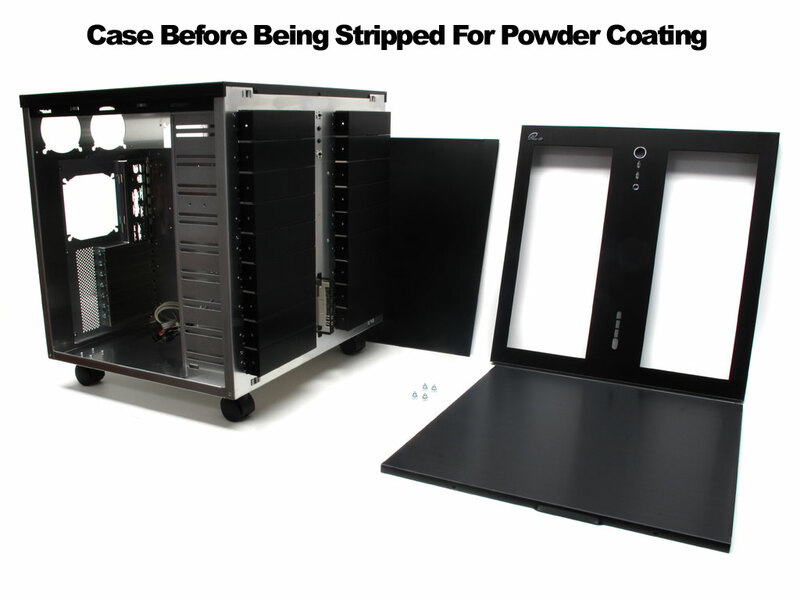 The exterior panels are reattached and then the case is repackaged and shipped with a new and perfect coating of paint!